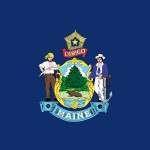 Maine Poker - Is Online Poker Illegal in Maine? Maine is one of the better states for poker players. Most poker options are okay. Only one is what some would consider unlawful… maybe. I think you’ll see what I mean when you read our write-up below. Fun Fact: Maine law states that if a game’s element of chance cannot be overcome by skill, then it’s a game of chance and not a game of skill. Therefore poker is a game of chance because no matter what players do, they have no control over the shuffle (what cards they’re dealt). Unlike many states I’ve looked at so far, Maine has laws specifically for home poker games. “Player” means a person who engages in social gambling solely as a contestant or bettor on equal terms with the other participants therein without receiving or becoming entitled to receive something of value or any profit there from other than his personal gambling winnings. “Social gambling ” is gambling, or a contest of chance, in which the only participants are players and from which no person or organization receives or becomes entitled to receive something of value or any profit whatsoever, directly or indirectly, other than as a player, from any source, fee, remuneration connected with said gambling, or such activity as arrangements or facilitation of the game, or permitting the use of premises, or selling or supplying for profit refreshments, food, drink service or entertainment to participants, players or spectators. The long and short of it – so long as you don’t rake the pots, charge a tournament fee or cover charge, you should be fine. The only money you can win is from the other players. Keep in mind this applies to food and drinks, too. Many poker rooms or leagues make extra money by charging for this stuff. But that is against the law. So either let people raid your fridge for free or make the games BYOB. What Does Maine Say About Online Poker? Like most of North America… nothing. Wonderful, right? The only thing I could find that you could maybe apply to online poker is their ‘gambling device’ or ‘illegal gambling machine’ statutes. I think you could argue that this makes online poker illegal. And the fact that online poker isn’t regulated in Maine. All that said, it’s still possible to play online poker. You just have to join an offshore site. But join those types of sites at your own risk, as you are definitely not protected if an operator were to go rogue and close up shop. Here’s another bit of good news – you can play casino poker in Maine. Hollywood Casino – Take your pick from limit or no limit holdem, omaha and 7-card stud. You can also play other player favorites such as video poker, blackjack, roulette, let it ride and 1,000 different slot machines. Oxford Casino – This is the newer of the two casinos. Their website says nothing about poker. However, you can play more than 20 table games and 800 slot and video slot machines. Just keep in mind you’ll need to be 21 or older to play at either casino. Other than the casinos you have the option to play in the state lottery, their racetracks or charitable bingo. For online poker – not the best. Experts suggest we’ll see some form of legislation in 2018-2019. But it looks like things might be expanding on the brick and mortar front. Reports have suggested the state is considering building 2 new casinos. This comes after similar proposals have been turned down. And as of September 2014, it looks like the state is still deciding. So, we’ll have to wait and see.